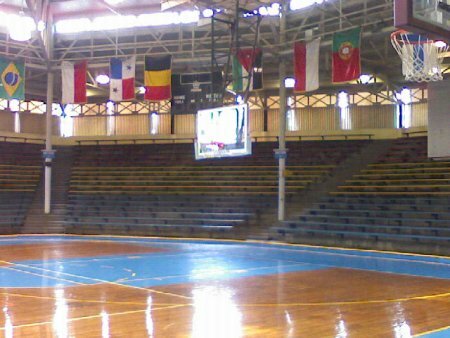 The Arena is an elongated octagonal structure with a hardwood flooring surrounded by bleacher style seating, much like a large gymnasium. The entire structure has open windows at the top and vented walls just below, with the actual floor beneath ground level. 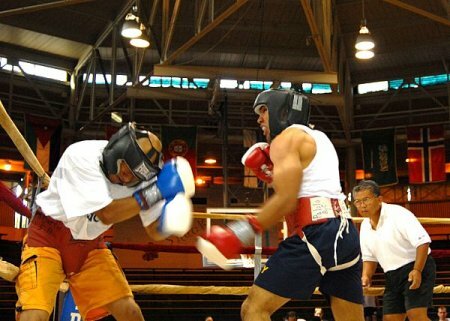 The serviceman also attended boxing matches, movies and other competitive events held there. 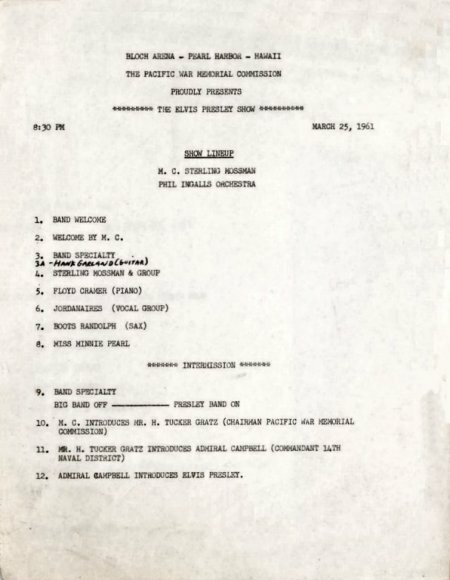 One such event was the "Battle of Music 1941". 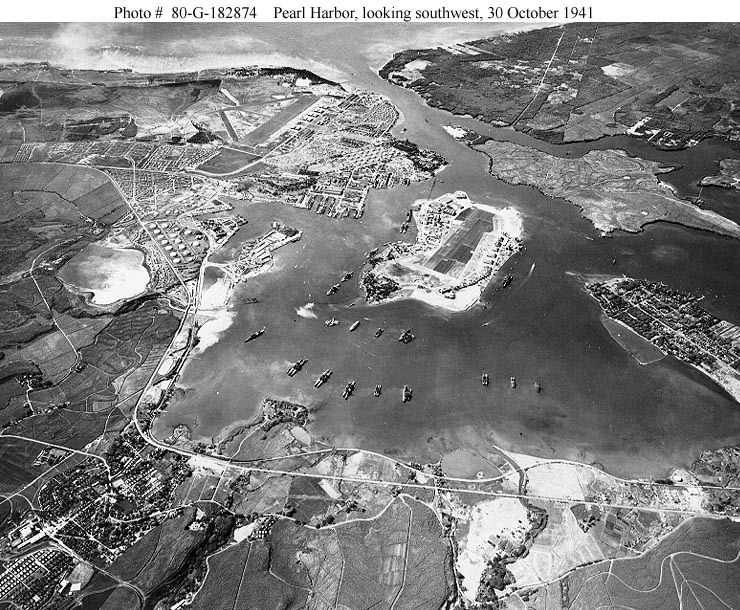 The Battle of Music 1941 began on September 13, 1941. 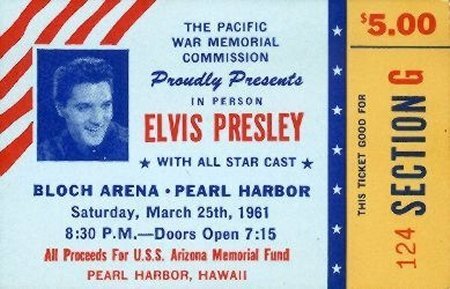 It was held at Bloch Arena every two weeks and featured four Navy bands from "capitol ships" home ported in Pearl Harbor and those attached to shore installations in Hawaii in each round of the tournament with one winner per round selected to perform in the final competition. The first and second place winners were to compete in the semi-finals, with the first and second place winners of those contests to compete in the final contest to be held on December 20th. Each band performed a swing number, a ballad and one specialty tune and then played for the jitterbug contest. 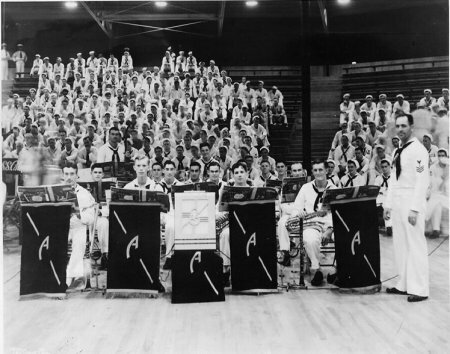 The most recognized and highly decorated Navy Band associated with Hawaii was Unit Band 22, formed in January of 1941 and assigned to the Pennsylvania-class battleship, USS Arizona in May. Arizona's band competed in the first contest on September 13th. 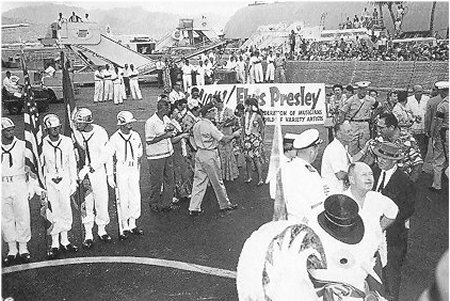 The winners of that contest were the bands from the USS Arizona and USS California. The Arizona band then competed in the first semi-final contest held on November 22nd. 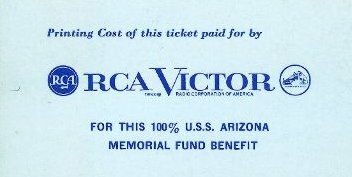 Winners of that contest were the bands from the Marine Barracks and the Arizona. 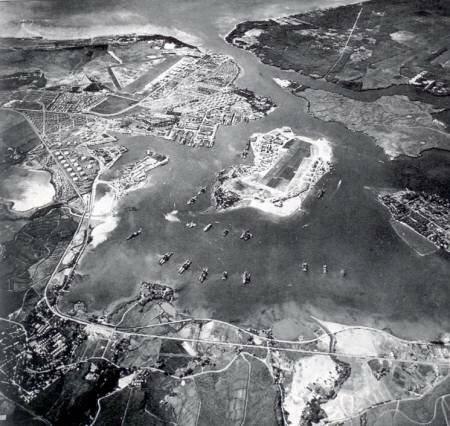 On Sunday, December 7, 1941, shortly before 8 A.M., the base at Pearl Harbor was attacked by a carrier task force with a greater aerial striking power than had ever been seen on the World's oceans. 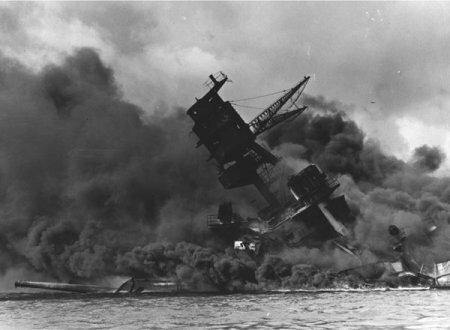 The attack came in two waves and lasted for over two hours. 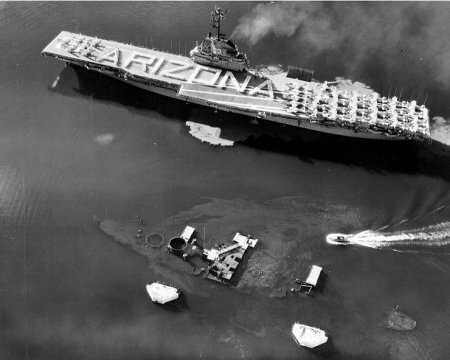 The USS Arizona was moored when she was attacked by horizontal bombers which struck her with several bombs. Some of these caused damage to her after and midships areas, but their effects were minor compared with what resulted from one that penetrated beside her forward turrets. 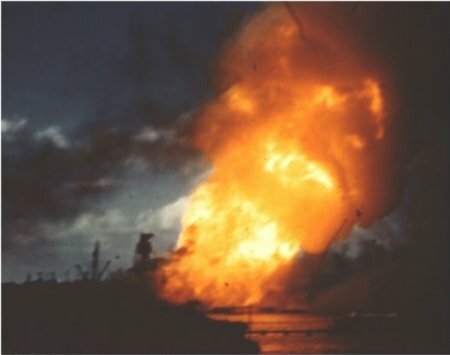 The resultant massive explosion of her magazines utterly devastated the battleship from in front of her first turret back into her machinery spaces. 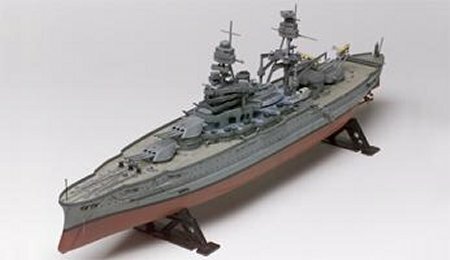 Her sides were blown out and the turrets, conning tower, and much of the superstructure dropped several feet into her wrecked hull. This tipped her foremast forward, giving the wreck its distinctive appearance. Colonel Tom Parker, read the Examiner editorial and immediately telephoned Chaplin and said: "I know a young man whose services can be a big help." 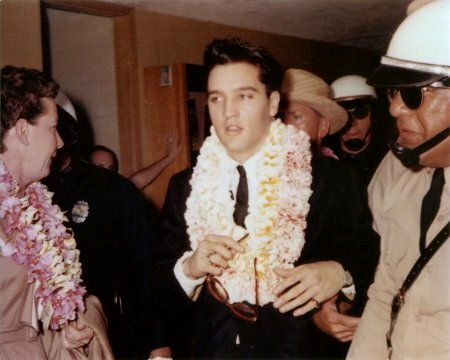 He offered an Elvis benefit performance in Hawaii for the Arizona Memorial to coincide with Elvis' scheduled movie location work there for "Blue Hawaii". 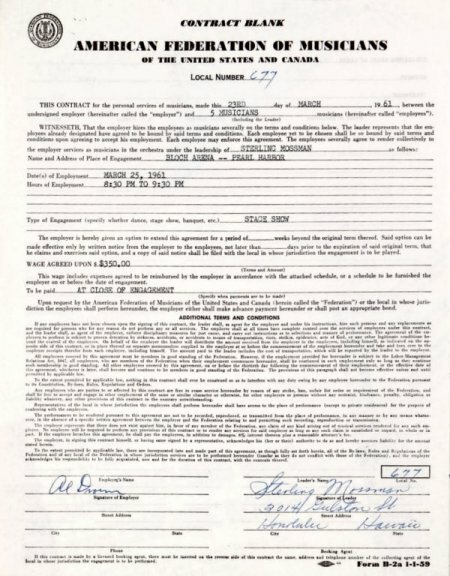 His single condition, and in this he was inflexible, was that all ticket proceeds must go directly to the memorial fund. He insisted that any overhead be covered from other sources. 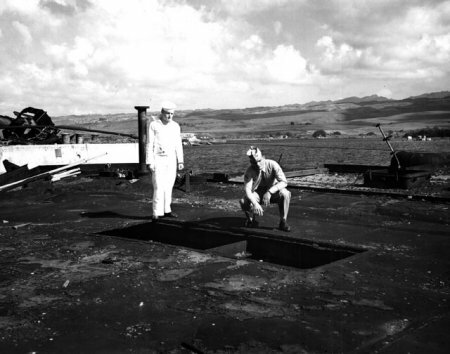 The Honolulu Advertiser reported that Tucker Gratz said the Colonel came to Hawaii and set up the show. 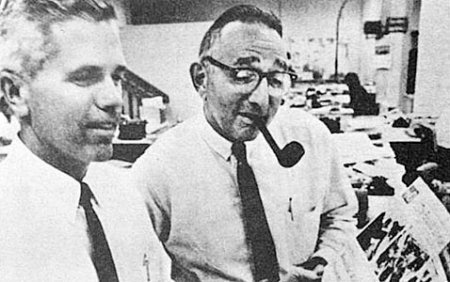 "We were $10,000 short," said Gratz. 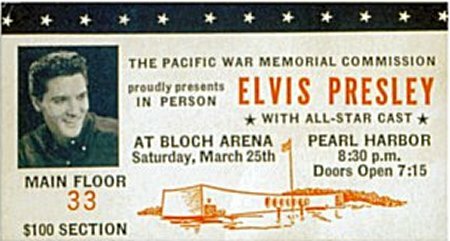 "We made an agreement with Parker that he and Elvis would raise $5,000 if the War Memorial Commission would raise the other $5,000..."
The show was scheduled for Sunday, March 25, 1961 at 8.30 P.M. at Bloch Arena. 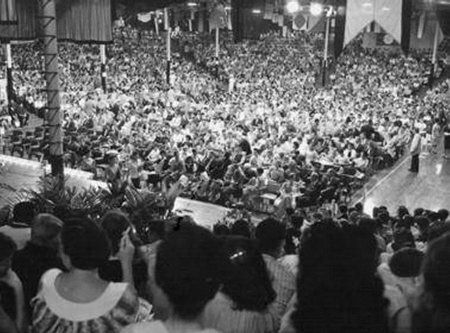 There were 4000 tickets sold in the price range from $3.00 to $10.00. 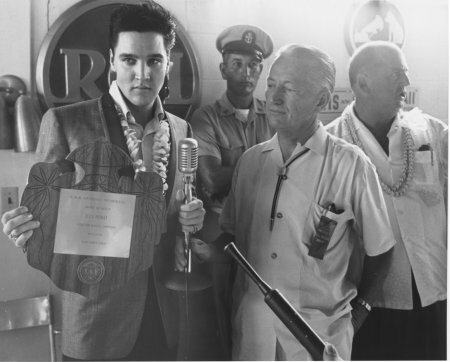 100 of the 300 $100 tickets were reserved for a special ringside section in the arena, 30 of these tickets were bought by Elvis and the Colonel for patients and corpsmen from Tripler Army Hospital. Scotty remembers that even he and DJ bought their own tickets to attend. The Colonel saw to it that no one got in without a ticket. 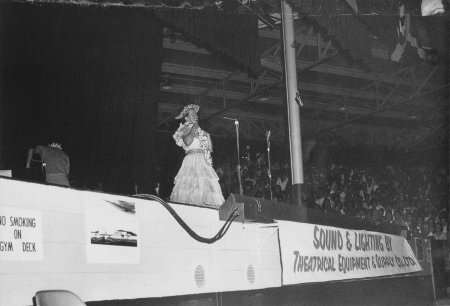 The Colonel had also asked Minnie Pearl, the "undisputed queen of country comedy and Grand Ole Opry star", to be on the show. 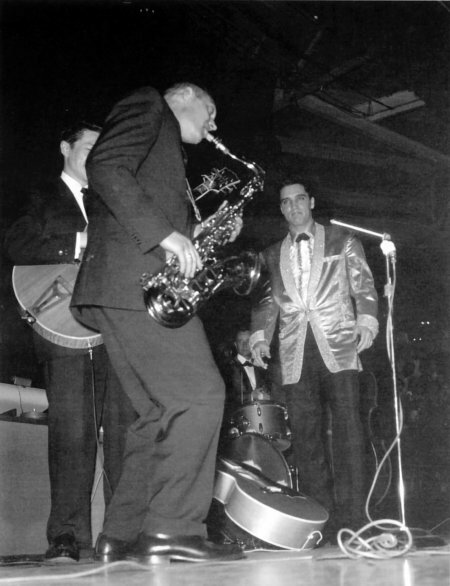 Besides Scotty, DJ and the Jordanaires, the band was supplemented with their current Nashville A Team recording line up: Bob Moore on bass, Boots Randolph on sax, Floyd Cramer on piano and Hank Garland on guitar. 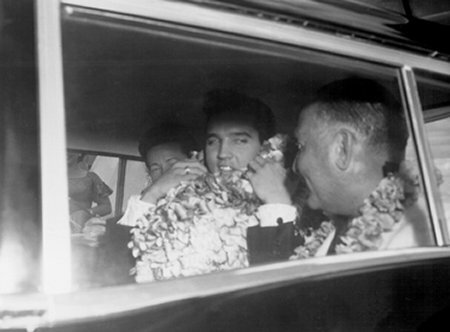 Bob remembers that they had a party at Elvis' house in Los Angeles the night before they left for Hawaii. 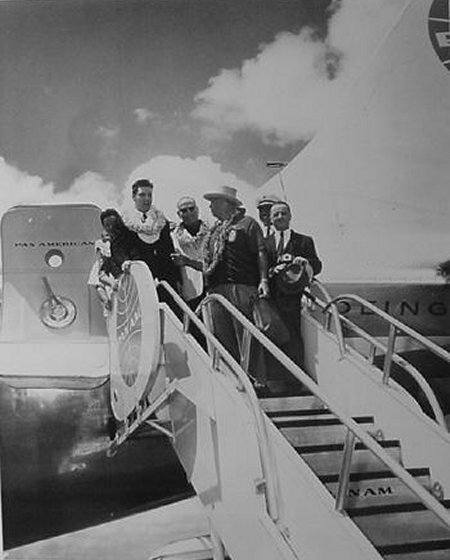 On March 25, the day of the show, they flew from Los Angeles to Honolulu on Pan American Airlines. 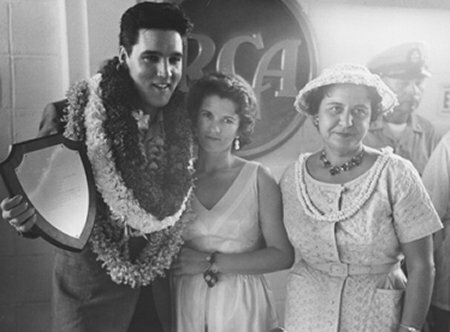 Minnie Pearl recalled that (General) Jimmy Stewart, the famous actor, was also on that flight and that Elvis, a longtime fan of his, asked her if she thought it would be out of order if he went over and talked to him. 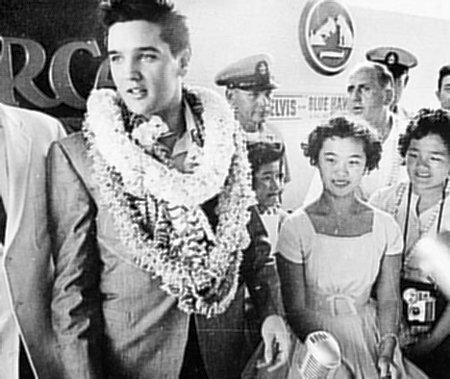 She told him she thought he'd enjoy it so Elvis walked over to his seat, introduced himself and they conversed for a time. 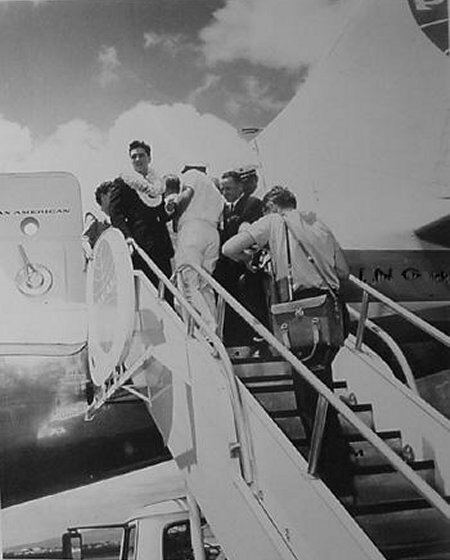 They arrived at Honolulu International Airport at 12:15 P.M.
Scotty had made several stops in Pearl Harbor while serving in the Navy, so the trip had a homecoming feel to it for him. "You feel this air of tranquility there," he said. "It's restful. It's in the air." 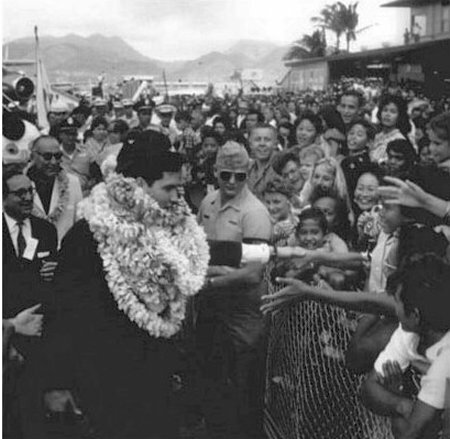 When they arrived at the airport there were over 3000 not so restful fans waiting to greet and see Elvis and the air was anything but tranquil. 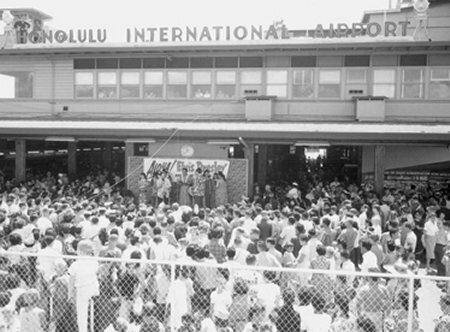 That afternoon there was a press conference in the Carousel Room at the Hawaiian Village Hotel that included newsmen, photographers and a hand-picked group of 27 high school and middle school reporters. 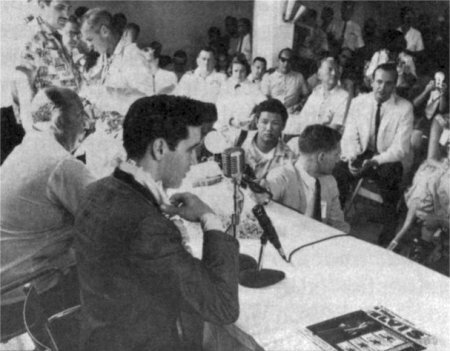 The Sunday Adviser reported, "Elvis answered questions with a matter-of-fact mumble" and "The Colonel, Tom Parker, supplied the punch lines that brought laughter and applause from the student reporters." 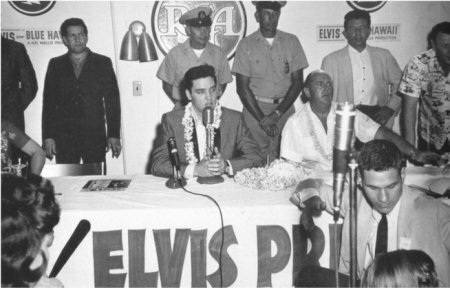 At the conference Elvis was also presented a few awards for his benefit performance that would take place that evening. 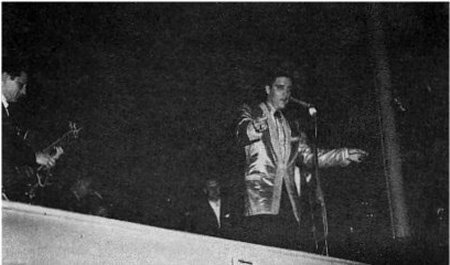 It was the first and only time that Bob Moore had actually performed with Elvis onstage though he seems to recall attending the performance in Tupelo in 1957 when Hank Garland performed. He was horrified at the concert and had never seen anything like it with all the girls screaming and the fans grabbing at them as if they were trying to get a piece of them. 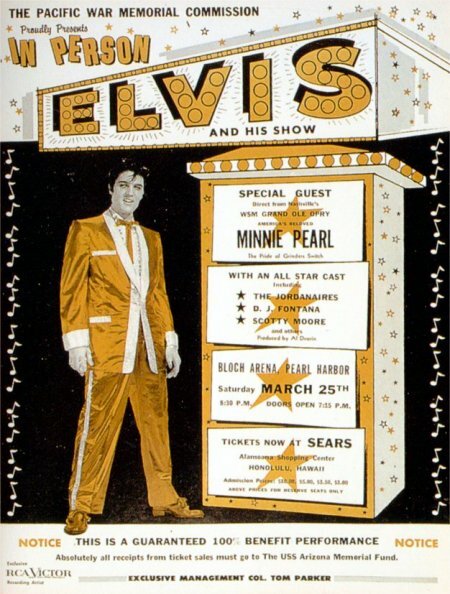 According to Dvorin's accounting, Mossman and his band were paid $350 for the gig, the Phil Ingalls Orchestra $330, Scotty, DJ, the Jordanaires and each member of the band from Nashville were paid $100 and Minnie Pearl $1000. 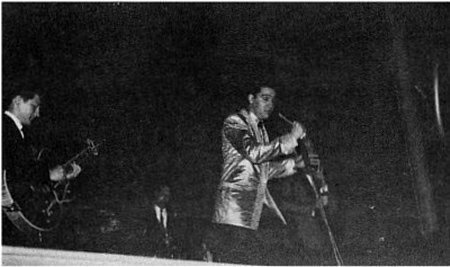 Photo courtesy Robert Gordon's "The King on The Road"
According to the Advertiser, the show was opened by the Phil Ingall Orchestra, a brassy combo that the audience lapped up. Soon the audience clapped along in time to the music. 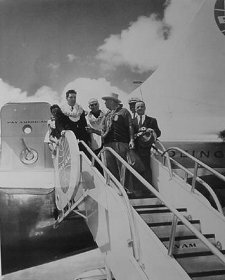 Then Sterling Mossman and his group performed Polynesian songs and launched a comedy routine that brought titters and giggles from the $100 seats. Floyd Cramer then performed a piano solo followed by the Jordanaires and then Boots who performed his staple "Yackety Sax". Minnie Pearl closed out the first half. 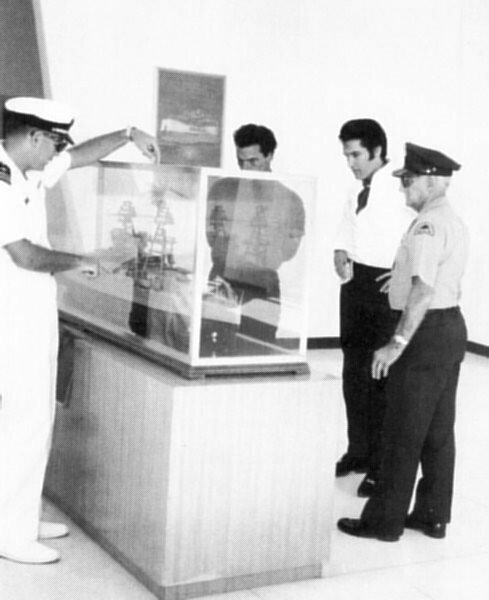 After the break, Rear Admiral Robert L. Campbell, Commandant of 14th Naval District, read a telegram from the Secretary of the Navy which said of Elvis: "The generosity and public spirited zeal with which you donate your services to the Arizona Memorial Fund tonight are deeply appreciated by all of us in the Navy." Introducing him Admiral Campbell said, "Our Honored guest tonight is a fine American. He has had many starring roles. 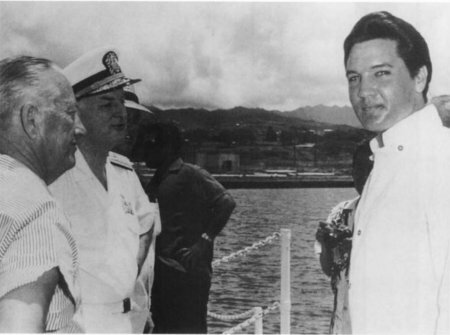 In one of these roles, his role as a soldier in the U.S. Army, his performance was outstanding, and it's a great pleasure, to welcome him here, and to present to you... Elvis Presley." 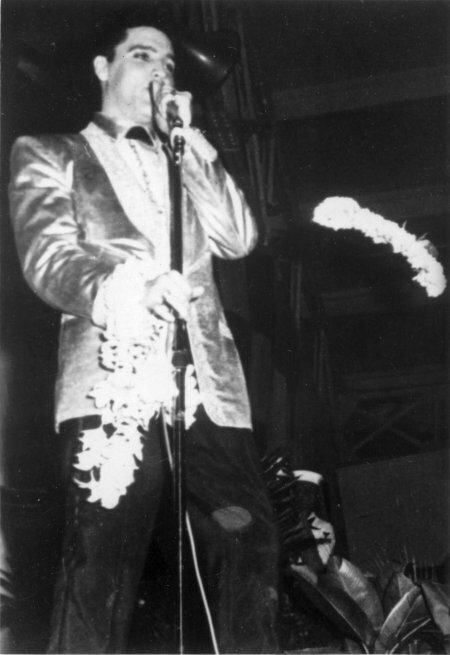 When Elvis took the stage, wearing his Gold Lame jacket (for the last time) with dark blue trousers and a white shirt and a blue string tie the teenagers screamed for almost a minute and a half without let-up. 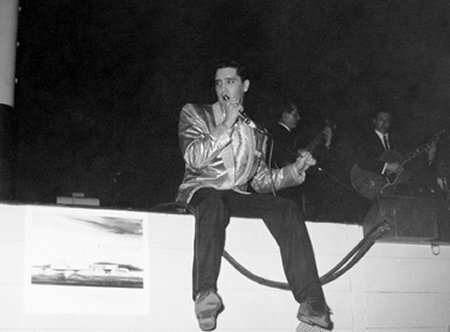 Elvis then in imitation and fun, screamed back. 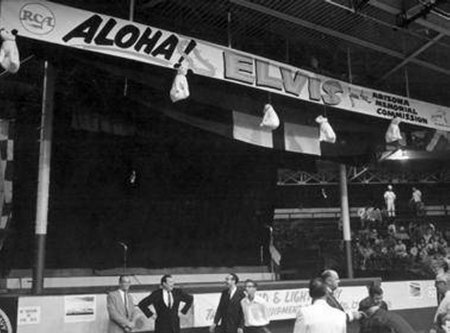 The concert was one of the longest sets Elvis had played in awhile, forty five minutes. 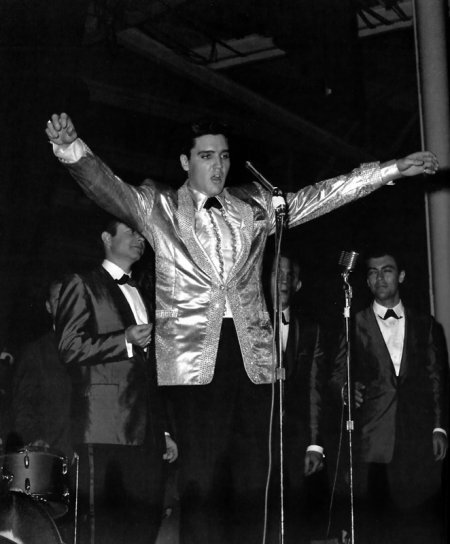 They performed 15 songs, opening with Heartbreak Hotel and closing with Hound Dog. 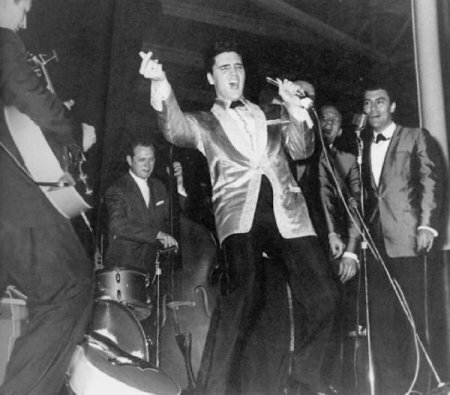 It had been seven years since Elvis, Scotty and Bill, had made their debut performance. 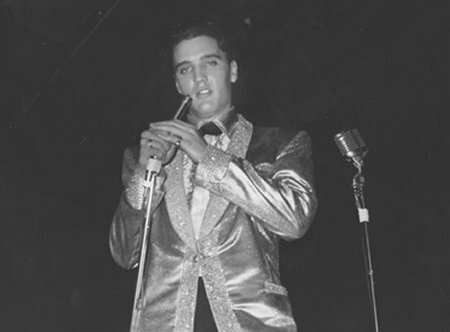 Bill Black last performed live with the band at their last performance of the 1950s on November 11, 1957 at the Conroy Bowl at Schofield Barracks in Hawaii (after which he appeared and recorded with them in the movie King Creole). 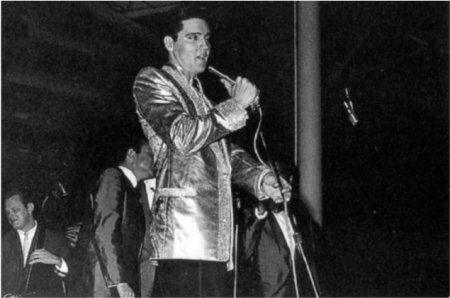 Though Scotty would record with Elvis through most of the sixties it would be seven more years before Scotty and Elvis would perform on a stage together again. 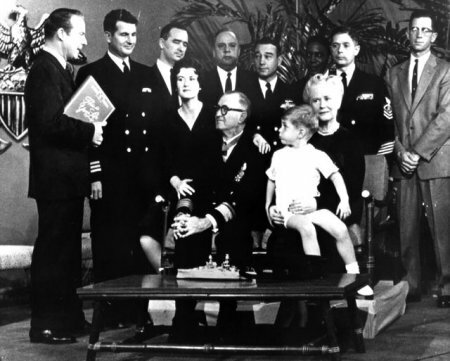 They, along with DJ, would perform to a smaller studio audience during the filming of the 1968 NBC Special. 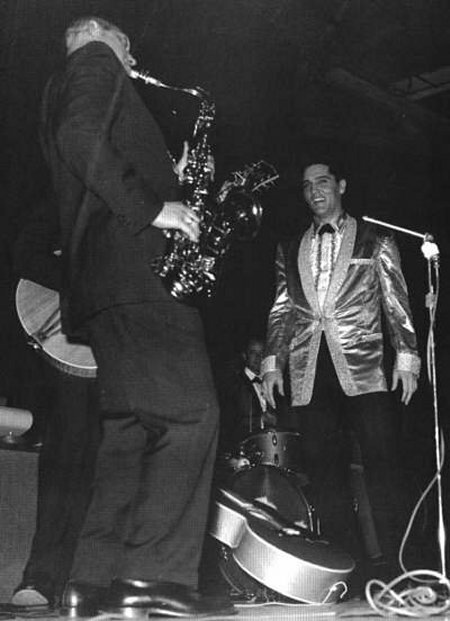 It would then be the last time they performed together and the last time that Scotty would see Elvis. 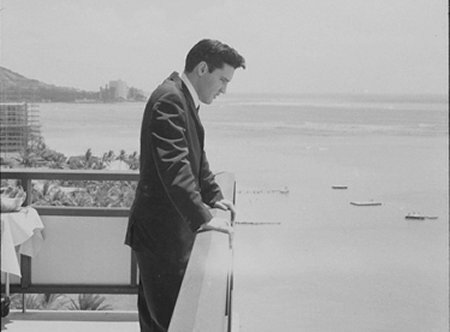 The Arizona benefit was also the last time Scotty has seen Hawaii. DJ, Boots and Scotty flew back the day after the show but Bob, Floyd, Hank and Minnie stayed on for several days. 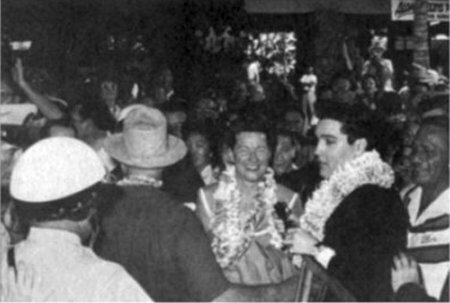 Filming for Blue Hawaii began the next day and Bob recalls being at a section of the beach roped off for shooting and beginning a lifelong friendship with a young local man, Walter Omori, when he intervened with a policeman that was forcefully trying to eject him. Just a fan trying to watch, Bob thought the policeman was being too rough and informed him that Walter was with them and had the right to be there. 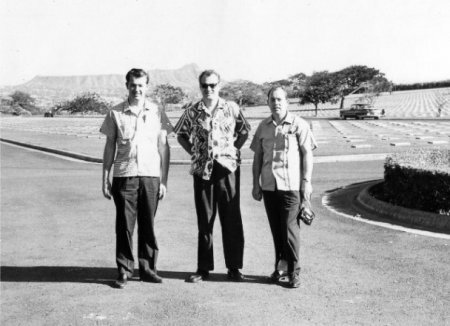 Walter, in appreciation, left them wanting for nothing during the rest of their stay even providing them transportation to sites of the Island that they normally would not see, including the Punch Bowl. 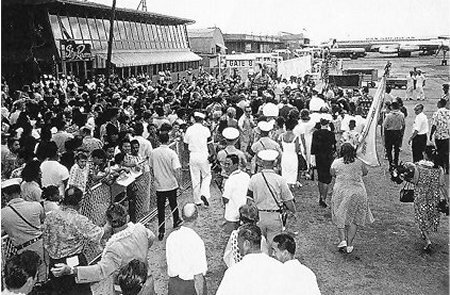 Construction of the USS Arizona Memorial was completed in 1961 for a total cost of $532,000.00 and was officially dedicated on Memorial Day, May 30, 1962. 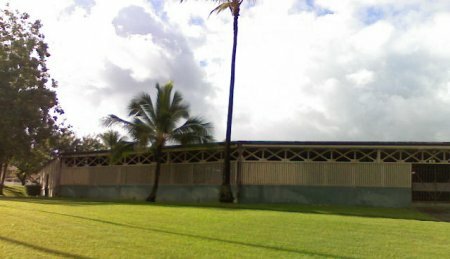 The structure is 184 feet long, 36 feet wide and 21 feet high at the ends, tapering to 27 feet wide and 14 feet high at the center. 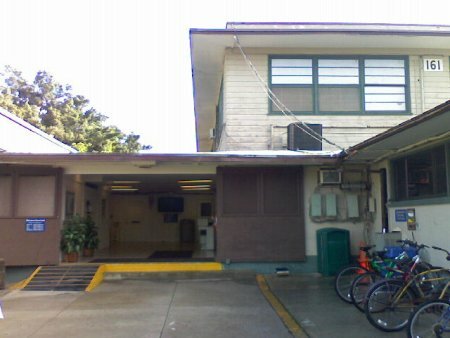 A visitor center was opened on the shore in 1980, at which time the Navy turned the operation of the Memorial over to the National Park Service. 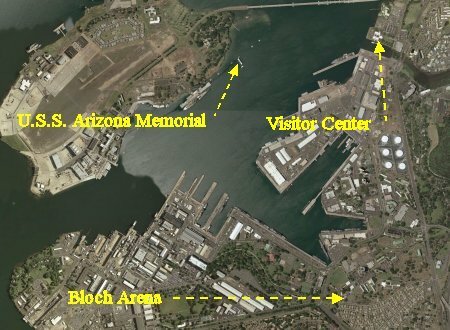 Tours to the sunken remains of the battleship Arizona are accessible only from the visitor center. Today, it is one of the most recognized and most visited memorials in America. 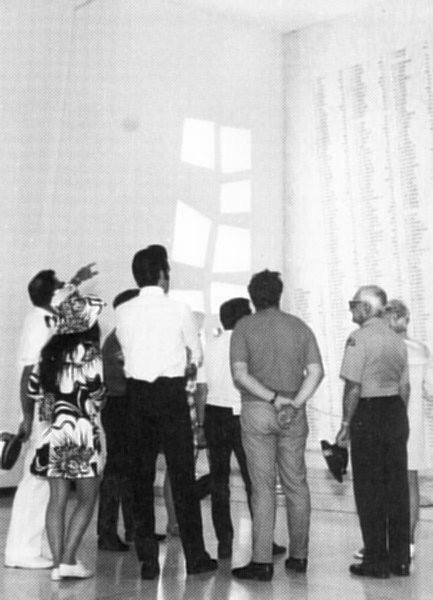 Since its dedication in 1962, approximately 40 million visitors from all nations have gone to the Memorial in a spirit of remembrance, reflection and reconciliation. 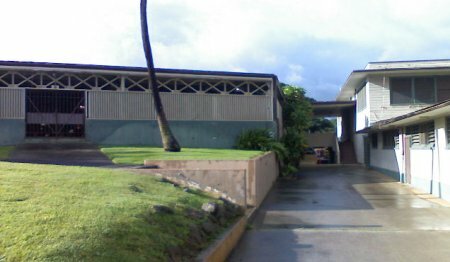 Bloch Arena is still an active facility of the Navy at Pearl Harbor and is part of its "Morale, Welfare and Relaxation" (MWR) program. 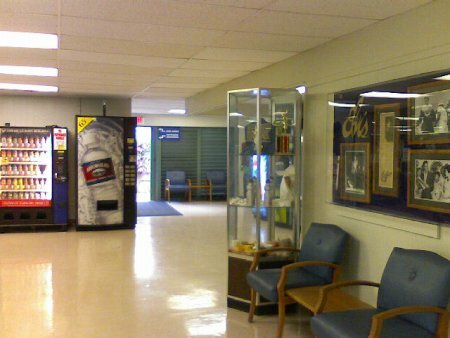 The Fitness Center at Bloch Arena is located at Building 161. Free weights, resistance machines, cardio equipment, shower & locker rooms, saunas, basketball, racquetball and volleyball courts, personal training, group exercise classes, massage therapy, child care and numerous fitness clinics/workshops can be found there in the Bloch Complex. 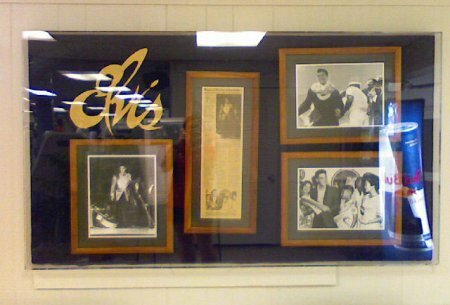 In the lobby entrance to the Fitness Center you will see a small showcase set inside the wall acknowledging the benefit performance by Elvis and the band in 1961. 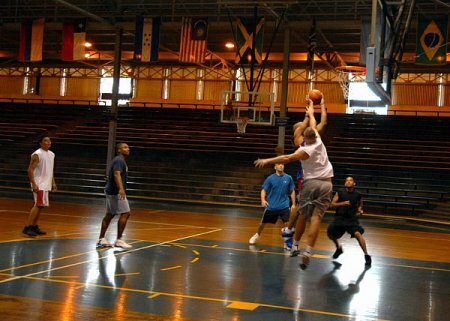 The arena itself is still used as it always has been, for the recreation and entertainment of service personnel and competitive events like boxing and basketball. 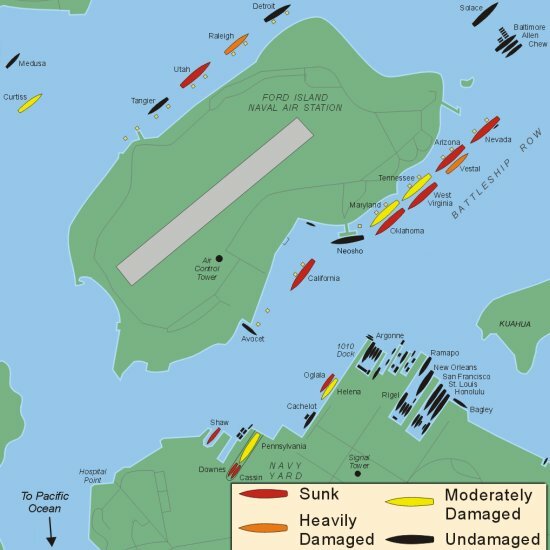 It appears very much as it did during the "Battle of Music" in 1941. 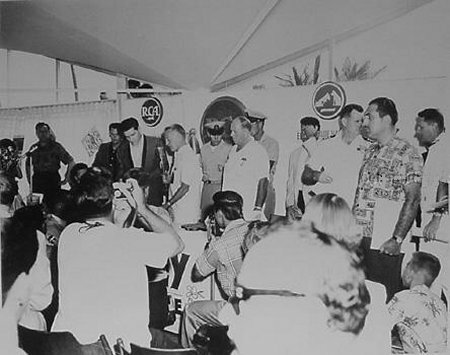 In the weeks following the infamous attack, all the bands that had participated in the "Battle of Music" voted to posthumously award the tournament trophy to Unit Band 22, renaming it the "Arizona Trophy." This was a fitting tribute to the heroic members of the band who died that infamous morning. 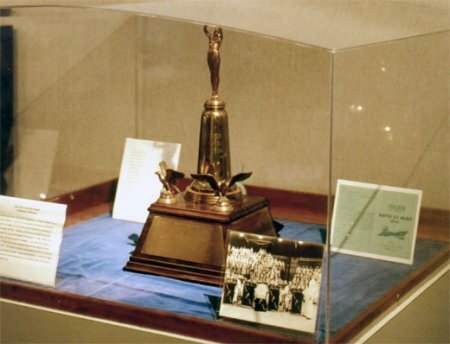 Unit Band 22 now stands the eternal watch onboard the USS Arizona for all sea service bands.6 The Arizona Trophy is on display at the Memorial's Visitor Center. 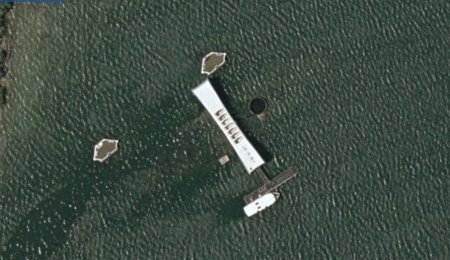 The USS Arizona Memorial is a permanent shrine to those Americans who lost their lives in the attack on Pearl Harbor and in the great Pacific War that began there. 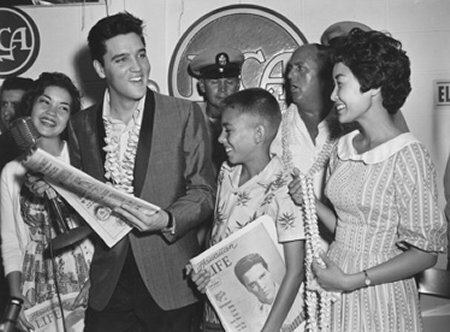 Special thanks to the Elvis in Hawaii website for the use of some of their resources pertaining to "Elvis in Hawaii" for this concert. 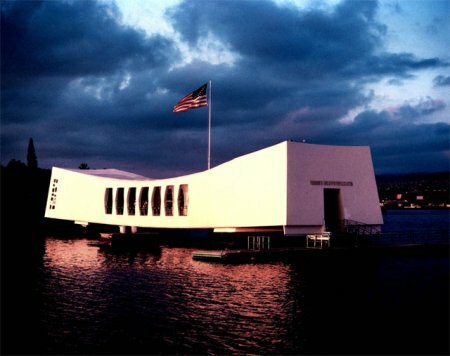 The USS Arizona Memorial's museum is the world's leading repository of the history, artifacts, documents and research related to the attack on Pearl Harbor and early WWII in the Pacific. The facility built in 1980 is experiencing severe structural damage and though it was designed to settle overtime into its landfill, the facility has sunk over 30 inches into Pearl Harbor, far exceeding expectations. 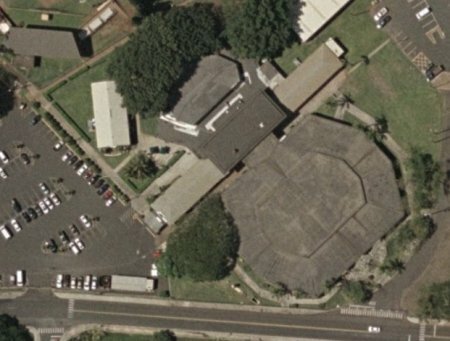 While the project to build the new Pearl Harbor Memorial Museum & Visitor Center is progressing, additional funding is desperately needed. And while the Department of Interior and many large corporations have committed to this cause, it is obvious that they need the help of every American. Your gift, no matter the size, will be greatly appreciated and recognized. 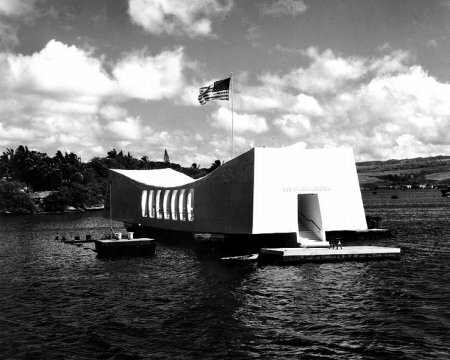 Consider joining this campaign and making a gift to the Pearl Harbor Memorial Fund. Please Donate Today! 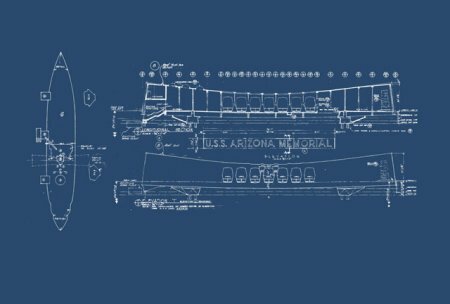 USS Arizona’s Last Band: The History of US Navy Band Number 22 by Molly Kent details the life and death of the members of the last US Navy band ever to serve aboard the USS Arizona. 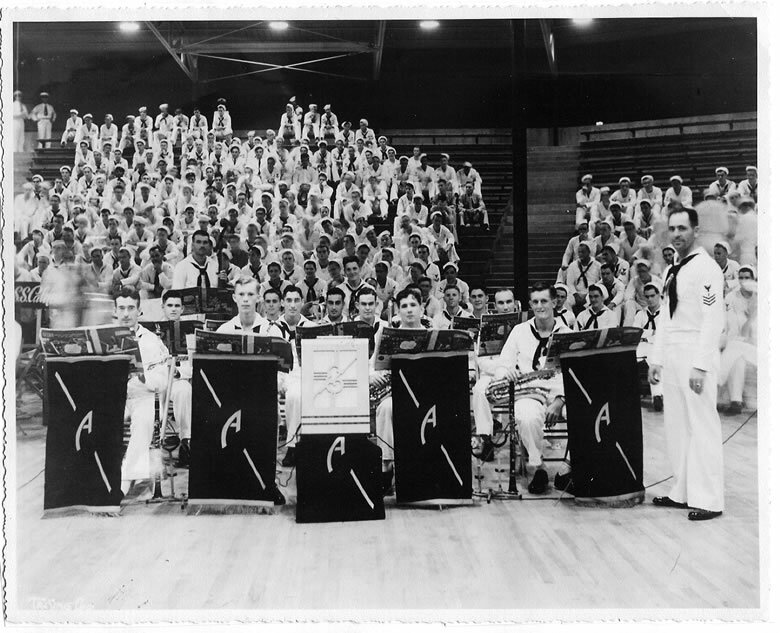 As the sister of Mus 2/c C. R. Williams, a member of USS Arizona's Last Band, Molly Kent is well qualified to write the history of this ill-fated US Navy Band. 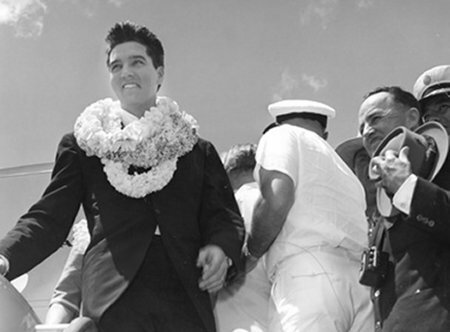 In 1965, three years after the dedication, Elvis for the first time saw the monument he helped get off the ground and into the water. 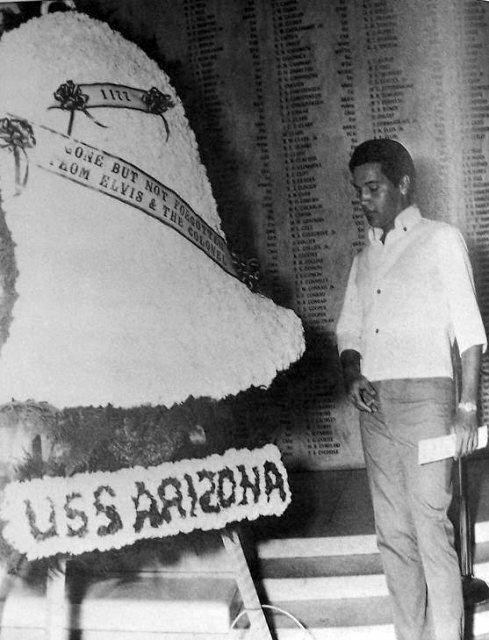 He and Parker stepped onto the shrine and honored the Arizona dead with two 5-foot high red and white carnation wreaths. 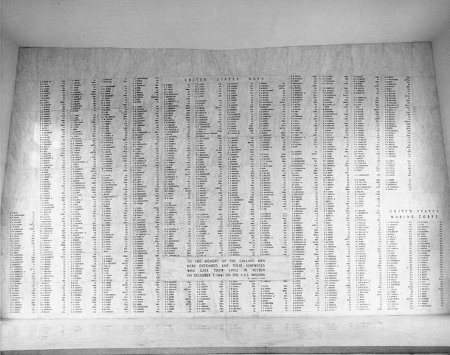 One, bearing a gold-ribbon inscription, "Gone but not forgotten," was made with exactly 1,177 carnations, one in honor of each of the lost officers and men. 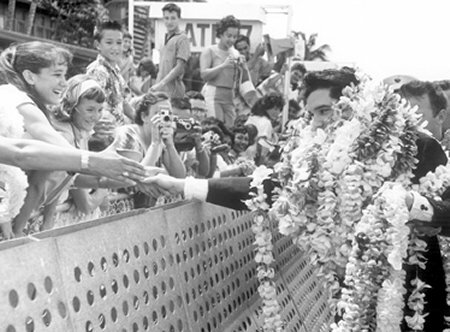 Prior to filming the NBC-TV Special in June of 1968, Elvis vacationed in Hawaii again and again visited the Memorial. 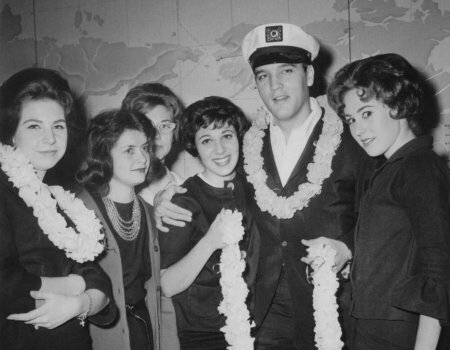 Molly Kent, the author of "USS Arizona's Last Band" when initially consulted for this page asked me to thank Scotty and the others "for their participation in the Elvis Presley concert in Hawaii. That concert made it possible for the Memorial to be built. 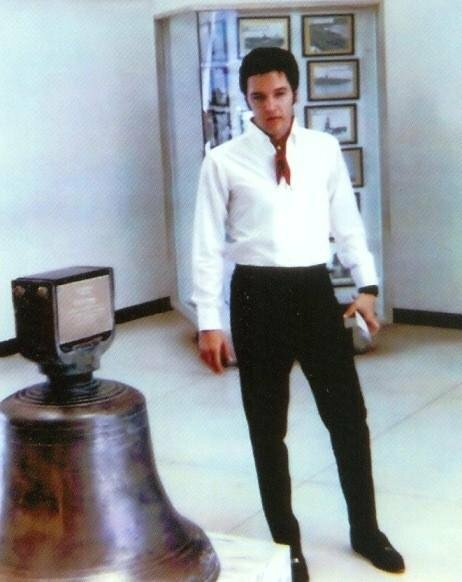 After Elvis gave his concert to help the Arizona Memorial, my father absolutely worshipped Elvis. 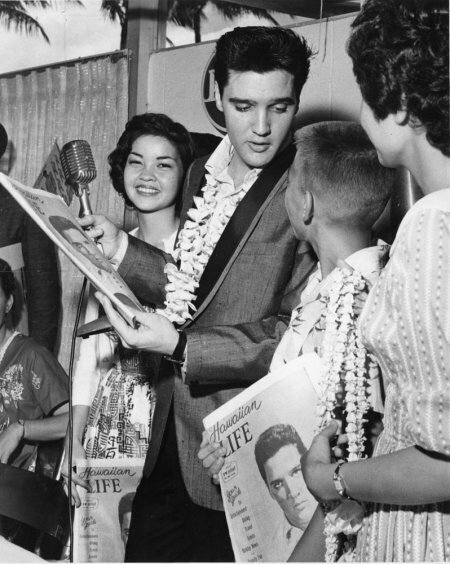 He would sit for hours listening to his Elvis records, many times with tears on his cheeks. 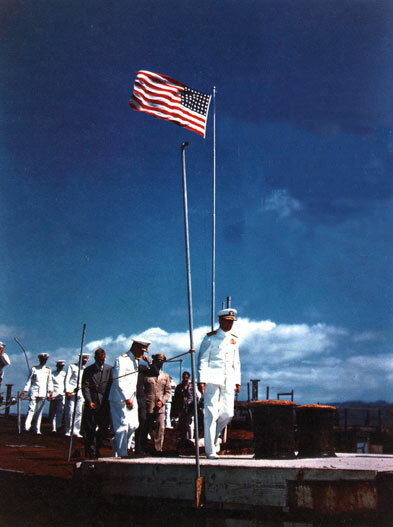 Those of us who have loved ones still serving aboard the USS Arizona thank them very much."